"Working Together to Advance Human Rights"
The Diplomacy Training Program (DTP) is an independent, Australian NGO committed to advancing human rights and empowering civil society in the Asia Pacific region through quality education and training, and the building of skills and capacity in non-governmental organisations and for individual human rights defenders and community advocates. 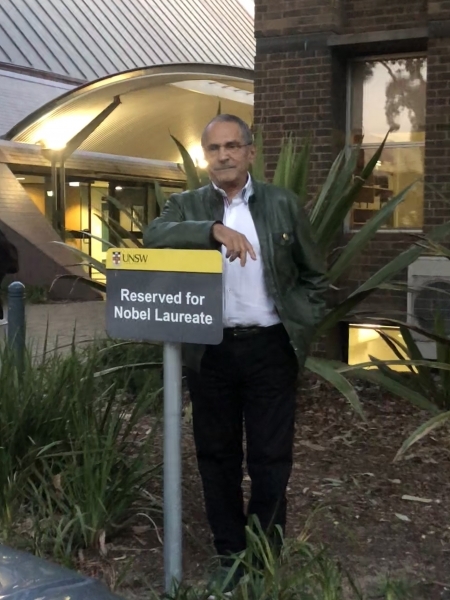 The DTP was founded in 1989 by HE José Ramos-Horta, 1996 Nobel Peace Laureate and former President of Timor-Leste with Emeritus Professor Garth Nettheim. 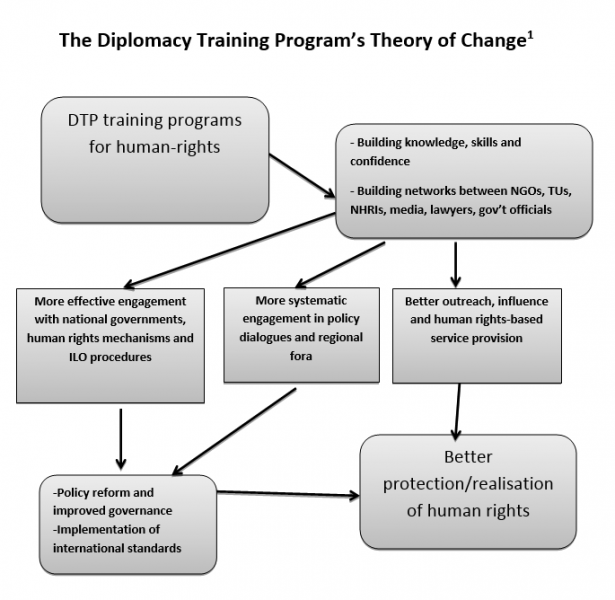 Since January 1990, the DTP has provided practical human rights training to over 3000 human rights defenders and community advocates in the Asia-Pacific and MENA region. Our VISION is a world in which all people have the freedom to advocate for the promotion and protection of human rights and are able to realise their human rights and achieve dignity. Our MISSION is to build the knowledge, skills, networks and capacities of those working to advance human rights. On Monday 13th August, DTP hosted a special discussion on business and human rights relating to the Montara oil spill, described by the ABC as 'Australia's worst oil spill'. The discussion brought together Iman Prihandono, DTP Alumnus and Indonesian academic/activist who is researching the case, Ben Slade, Managing Principal at Maurice Blackburn Lawyers who is leading the class action in the Australian courts seeking AU$200 million compensation for the Indonesian villagers, and Amy Sinclair, Australian/Pacific represenative of the Business & Human Rights Resource Centre. The Montara well head was owned and managed by an Australian company (PTTEP Australasia Pty Ltd), a subsidary of the Thai state-owned oil company (PTTEP). The spill occured in Australian territorial waters but the harmful impacts were experienced in Indonesia - by coastal communities dependent on fishing and an emerging seaweed industry. The case highlights key challenges in corporate accountability associated with globalisation - requiring a search for redress across national boundaries and legal jurisdictions. The Indonesian government is seeking compensation in the Indonesian courts for environmental damage from the Thai company and its Australian subsidary, while a class action is claiming compensation from PTTEP Australasia Pty Ltd.
DTP would like to thank our guests, Iman Prihandono, Ben Slade and Amy Sinclair for visiting UNSW and DTP. More information on the case can be found here. Video resources for this case can also be found here. The next installment of DTP's UDHR70 Discussion Series, held in conjunction with the Australian Human Rights Institute (AHRI), welcomed Debbie Stothard to UNSW. Debbie, a Malaysian national, was a student in Sydney in the early 1990’s engaging with the Diplomacy Training Program in its early years. She went on to lead efforts to put human rights in Burma on the ASEAN agenda – to break their silence and inaction – becoming the Founder and Director of ALTSEAN-Burma. Debbie is now a global leader on human rights – becoming the first woman from the region to be elected to leadership of the oldest established international human rights NGO the Paris based – International Federation of Human Rights (FIDH). Debbie is a trainer (including on DTP courses), an activist and advocate. Debbie provided insights into the ongoing debates on the death penalty, the rights of the journalist and the best tools for advocacy on business and human rights within the Southeast Asian (ASEAN) region. DTP would like to thank Debbie for visitng and speaking at the event. We would also like to thank the team at AHRI for the continual collaboration in this event. 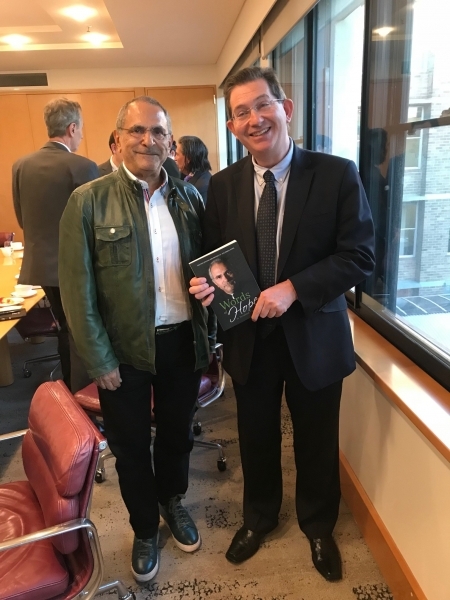 Our founder and patron, His Excellency José Ramos-Horta recently vistied Sydney to launch his new book "Words of Hope in Troubled Times". The book brings together for the first time José Ramos-Horta’s writings and speeches from 1992 to 2017 addressing major regional and global challenges. Hosted kindly by our board member Michael do Rozario and Corrs Chambers Westgarth, the event also commemorated significant developments within DTP including the recent passing of DTP co-founder Professor Garth Nettheim, Professor Paul Redmond stepping down as Chair of the DTP Board after 20 years of leadership and the promotion of Professor David Dixon as the new Chair of the Board. A smaller event was also held in Melbourne kindly hosted by well-known Australian barrister and human rights advocate, Julian Burnside AO QC and his partner Kate Durham. Our Melborune based board members, Caroline Aerbersold and Suwanee Dharmalingan were also instrumental in organising this intimate event. 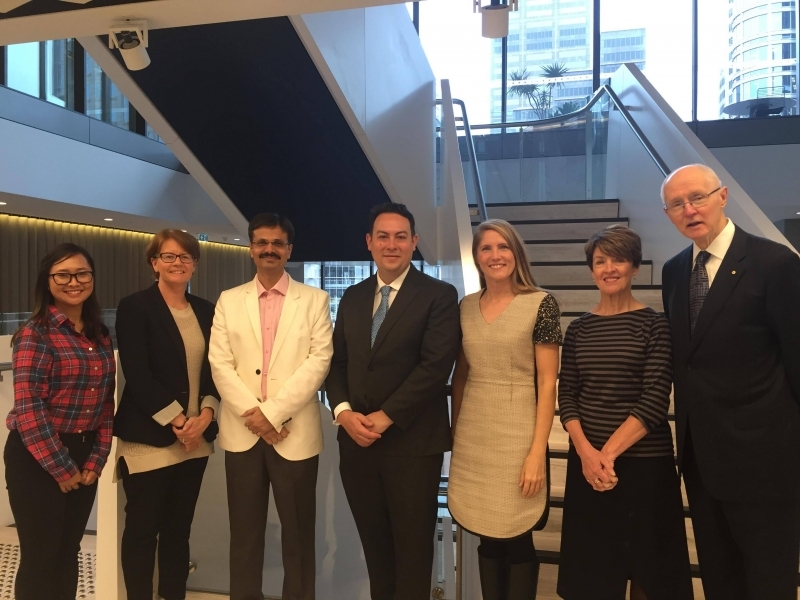 During his time in Sydney, José was personally invited by UNSW and UNSW Vice Chancellor, Professor Ian Jacobs for afternoon tea to discuss his achievements, DTP's success and future collaboration. As a special gift, José was given his own parking spot by UNSW. DTP hosted a Roundtable Discussion with Special Guest & DTP Alumna, Ms Yuyun Wahyuningrum from Indonesia on human rights in ASEAN 25 years after the 1993 World Conference on Human Rights. Yuyun gave a compelling analysis of the slow development of human rights within the ASEAN system. There is a continuing legacy from the battles over cultural relativism and Asian Values in the early 1990s – even though the Vienna Declaration reaffirmed the universality of human rights, the human right to development and the need for international cooperation to realise human rights. ASEAN adopted its own human rights declaration and established the its Independent Commission on Human Rights (AICHR) and the ASEAN commitment to consensus and non-interference has been strained by recent human rights crises such as killings in Rakhine, Myanmar. Civil society has fought for its place at the table and to be listened to with partial success. Space for human rights and civil society is increasingly restricted in many ASEAN countries however. On Friday 13th July, DTP hosted a roundtable discussion on the forthcoming referendum on independence for the French colony of New Caledonia (Kanaky) in the South Pacific. The roundtable was held at the initiative of Charles Wea, DTP alumnus (1990) and Kanak representative in Australia. Daniel Goa, President of FLNKS and his delegation were welcomed in French by DTP Board Member, James Fitzgerald. Prospects for the referendum and the Kanak’s struggle for self-determination and de-colonisation were discussed. It is clear that the November referendum is only one step in the process and that the Kanak people will require continuing solidarity and support whatever the outcome. The roundtable provided a valuable opportunity for DTP to reconnect with Kanak advocates and to explore capacity building needs. DTP would like to thank Daniel Goa, Charles Wea and the Kanak Delegation for visiting UNSW and raising awareness on the Kanak Struggle and the importance of this referendum. Thanks also to Nic Maclellan for providing us with this opportunity to meet Daniel Goa. Last but not least, to our board member James Fitzgerald for being our French translator. For more information on the forthcoming referendum, click here. 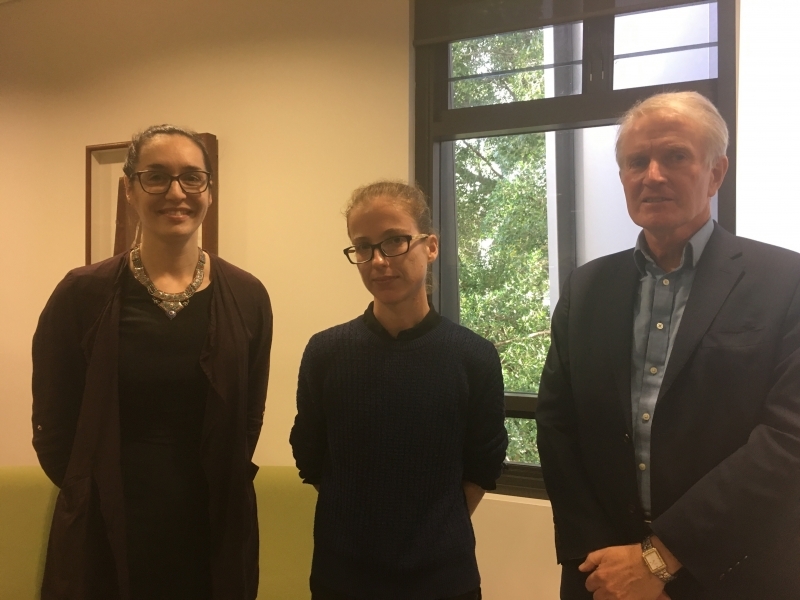 The next installment of DTP's UDHR70 Discussion Series, held in conjunction with the Australian Human Rights Institute (AHRI), welcomed Dr Jess Melvin to UNSW. 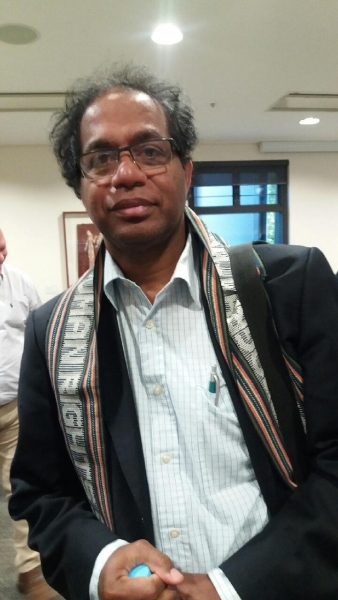 Dr Melvin is currently a Postdoctoral Associate with the Sydney Southeast Asia Centre at the University of Sydney. She is also the author of The Army and the Indonesian Genocide: Mechanics of Mass Murder (Routledge, 2018). She was Rice Faculty Fellow in Southeast Asian Studies and Postdoctoral Associate in Genocide Studies at Yale University in 2016-2017. 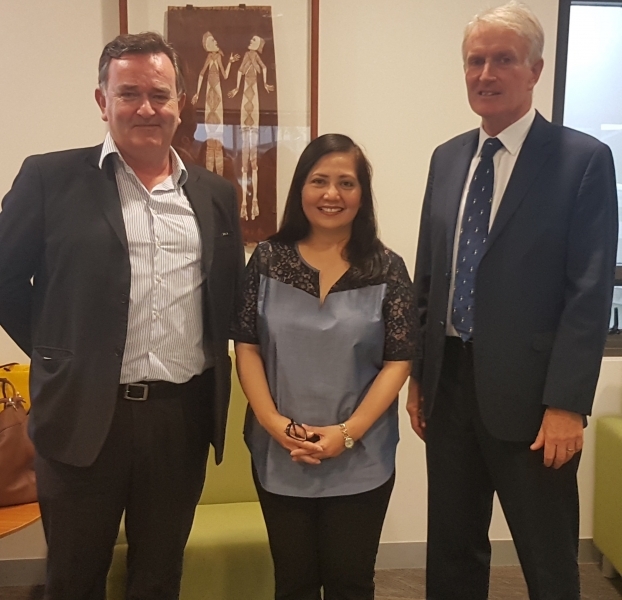 Dr Melvin spoke of her book, The Army and the Indonesian Genocide: Mechanics of Mass Murder, as her research has helped to unlock and change the narrative around the 1965 killings in Indonesia. Dr Melvin discovered that the mass killings in 1965 and subsequent years were orchestrated by the Indonesian military. To this day, key investigation and documents compiled by Komnas HAM (Indonesian National Commission on Human Rights) have been blocked by Indonesia's Attorney General Office from being publicly released. DTP would like to thank Dr Jess Melvin for visitng and speaking at the event. We would also like to thank team at AHRI for the continual collaboration in this event. Last but not least, a big thanks to Melissa Crouch for the opening remarks and DTP Chair David Dixon for the closing remarks and representing DTP at this event. The next installment of DTP and AHRI's UDHR70 Discussion Series welcomed DTP Trainer and Close Friend, Chris Sidoti to UNSW for his presentation "Gathering the facts about Myanmar rights abuses". Chris is an international human rights consultant and has provided consultancy services on human rights law and practice to the Office of the High Commissioner for Human Rights, UNDP, UNICEF, the Asia Pacific Forum of National Human Rights Institutions and several national human rights institutions. He is also a Adjunct Professor at the Australian Catholic University and was previously, the Australian Human Rights Commissioner (1995-2000). As a member of the UN Myanmar Fact-Finding Mission, Chris spoke about the atrocities being faced by the Rohingya people and the efforts by the international community to help out with this humanitarian crisis. At his talk, Chris said there have been “more than 700 intensive interviews” from the Rohingya community with interviewees wanting a permanent solution to the discrimination they are facing in Myanmar. DTP would like to thank Chris for his time in coming to UNSW to present his talk. We would also like to thank AHRI for their continual support and partnership in these talks celebration the 70th Anniversary of the UDHR. 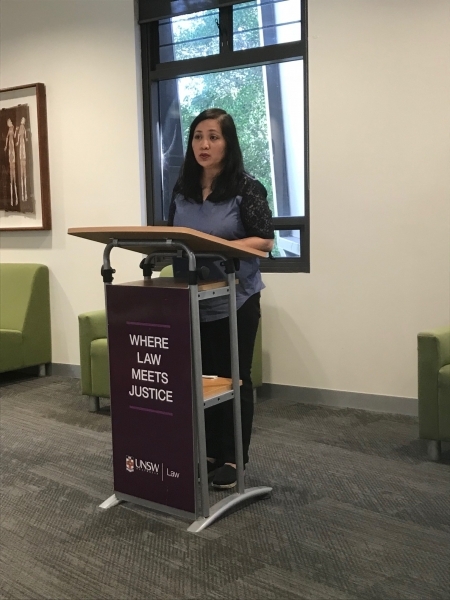 The next installment of DTP's UDHR70 Discussion Series, held in conjunction with the Australian Human Rights Institute (AHRI), welcomed DTP alumna and trainer, Philippines Human Rights Commissioner Karen Gomez-Dumpit to UNSW. Karen is currently serving as Commissioner for the Philippines Commission on Human Rights (CHR). She has served CHR for more than 25 years through various career posts and made several breakthroughs by being the first director of the CHR’s Child Rights Center, which she served for nine years. Karen spoke in depth about the human rights violations occurring under the guidance of President Rodrigo Duterte focusing on extrajudicial killings of drug users. Estimates place the number of fatalities of Duterte’s war on drugs at around 12,000 with the marginalised and disadvantaged most affected. Karen also discussed the cultivation of misogyny under Duterte’s influence and acknowledged the regression of equality throughout the Philippines. The breach of the Philippine’s international obligations occurring with the extrajudicial killings has received substantial criticism but been mostly ignored by President Duterte. Karen expressed gratitude towards Australia and the DPT for its support and asks that we continue to do so whilst the Philippines experiences this injustice. DTP would like to thank Karen Gomez-Dumpit and Marizen Santos for dedicating their time in visiting and speaking at the event during their busy schedule. We would also like to thank team at AHRI for collaborating with us in this event. Last but not least, a big thanks to DTP board members David Dixon and James Fitzgerald for chairing the talk. DTP's 2018 Strategic Planning Meeting was held on Wednesday 7th March 2018 at UNSW. 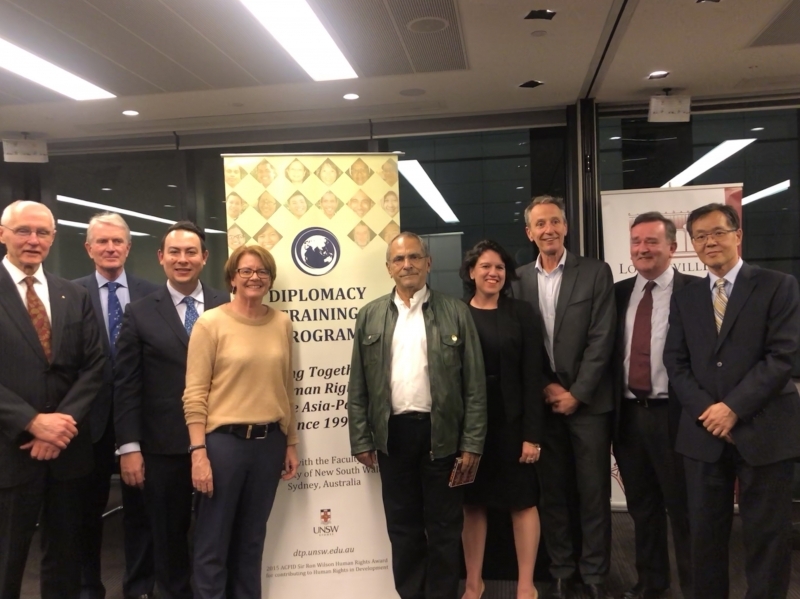 The day brought DTP staff and board members together to to reaffirm Diplomacy Training Program’s (DTP) commitments in developing the capacity and skills of community advocates in Indigenous Australia and the Asia-Pacific region. In preparation for the planning day, a survey was sent out to DTP staff and board, current and former trainers, alumni and partner organisations. This survey helped to provide knowledge on DTP's strengths and weakenesses and how we as an organisation can move forward. 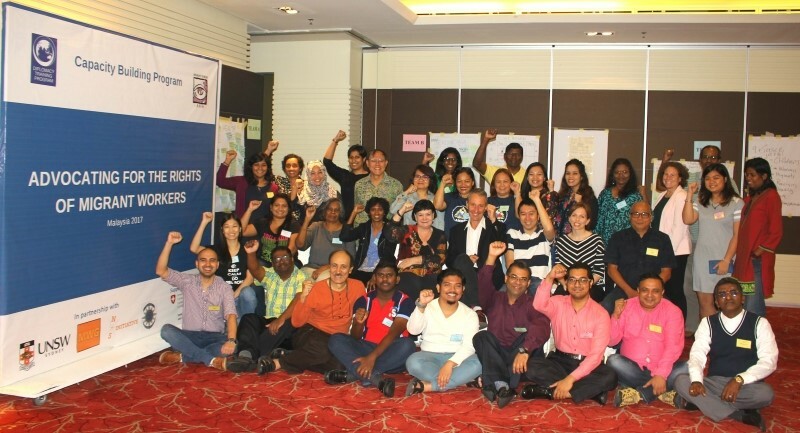 Overall the Strategic Planning day was a success in providing a vision for the organisation so that we are able to better deliver quality capacity building programs to human rights defenders in Asia-Pacific region. To mark the 70th anniversary of the Universal Declaration of Human Rights (UDHR70), DTP launched the UDHR70 Discussion Series inviting special guest and DTP alumna, Sumitha Kishna. Sumitha's talked focused on the many violations migrant workers face in Malaysian society calling for more policy and law reform. Estimates show that there are over 2 million migrant workers living in Malaysia. Many of these people face daily abuse, arbitary detention, cruel punishment and discrimination which violates basic human rights. Sumitha's experience as a lawyer has played a key role in advocacy for the rights and protection of migrant workers, refugees, trafficked per-sons and foreign nationals on death row. Sumitha is the Director of Our Journey, a NGO platform for experts on migration is-sues lobbying with government bodies and private stakeholders to develop sup-portive migration systems that align with international Human Rights standards. Advocates for migrant workers will now have access to a powerful new web-app after the Diplomacy Training Program (DTP) launched its Migrant Worker International Law Reference Tool. The new legal tool will allow advocates of vulnerable migrant workers to quickly identify sources of international law relevant to more than 65 migrant worker issues across 19 countries of origin and destination (sending and receiving countries), making the UN standards and mechanisms more accessible and potentially eliminating hours of legal research. The purpose of the DTP’s legal reference tool is to make the task of identifying migrant worker rights and protections quick and easy for those advocating on their behalf. We were privileged to hear from a business and human rights expert and Chair of the UN Working Group on Business & Human Rights, Surya Deva. Surya spoke about the importance of corporations as a key player in promoting human rights, whilst realising challenges still exist. He conveyed the need of mandatory due diligence; supply chain governance; access to remedies; and a global network of pro bono lawyers that can help affected communities - tool which can influence businesses to respect and realise human rights. 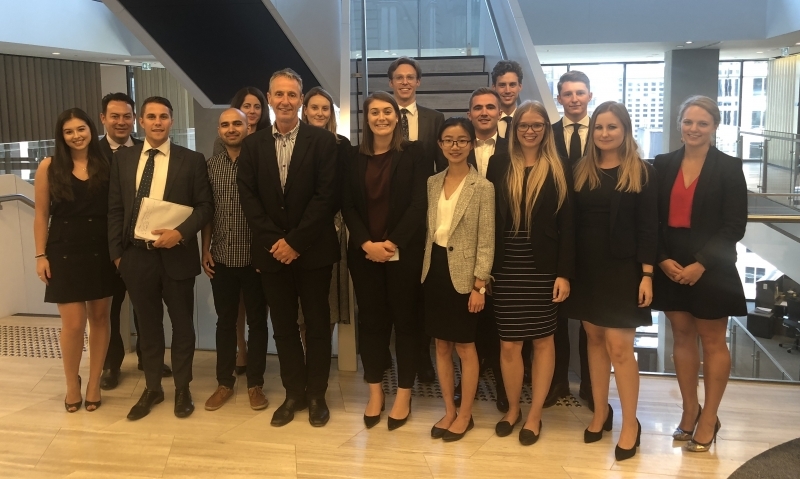 We would also like to thank Corrs Chambers Westgarth for kindly hosting the event and Australian Human Rights Institute for the joint collaboration. 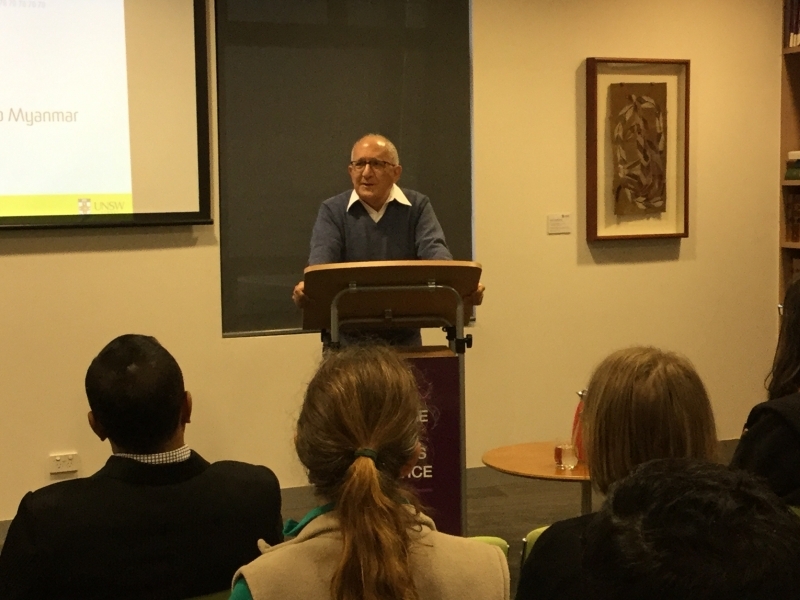 DTP was pleased to welcome back US Human Rights and Environmental Activist and Academic, Professor Joshua Cooper on Monday 21 August 2017, to reflect on the “The Sustainable Development Goals: Challenging Inequality in Australia”. 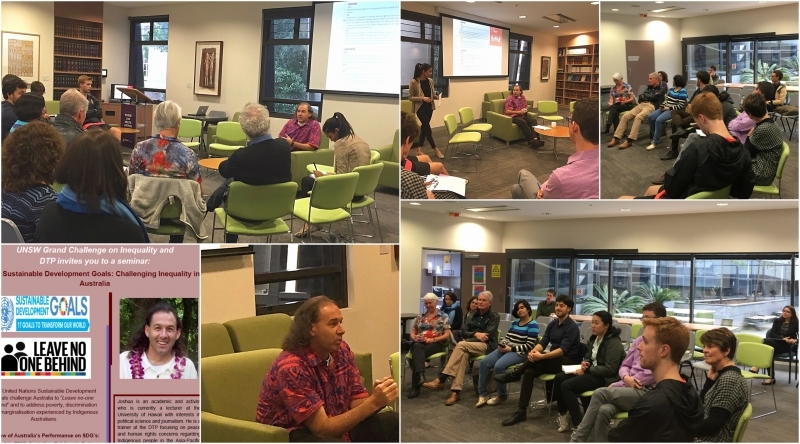 Academics, members of DTP and UNSW staff and students were invited to attend an interactive discussion that involved Joshua explaining the diplomacy of Human Rights in Australia and globally and how Human Rights combined with advocacy promote the ‘Sustainable Development Goals’. Joshua spoke on the growing agenda of Human Rights (HR) nationwide as Australia is preparing to present its first Voluntary National Review at the 2018 UN High-Level Political Forum (HLPF) stimulated by the ‘2030 Agenda for Sustainable Development’ with the intention of facilitating the implementation of projects proposed to promote the SDGs. It is essential for national bodies to consult with the civil society prior to and after the HLPF for better adoption of the ‘2030 Agenda for Sustainable Development’ and SDG goal ‘Leaving no-one behind’. Joshua further disclosed the nature of the Universal Periodic Review (UPR) as three cycles of review. There are multiple phases of the UPR including: preparation, action, consideration, adoption and implementation which educate, engage, and empower individuals and global governmental bodies to connect with issues of inequality in Australia. The DTP was delighted to welcome Sevan Doraisamy, the Executive Director of Suara Rakyat Malaysia (SUARAM). Members and friends of the DTP, UNSW staff and students, and other organisations (Australian Pro Bono Centre and Amnesty International Australia) attended an engaging discussion about human rights in Malaysia. Sevan gave a thorough insight into the issue of Detention without Trial in Malaysia, discussing the impact of national security legalisation. An open floor discussion raised concerns of Malaysia’s security and terrorism laws towards its citizens and human right defenders. Sevan emphasised that Freedom of Expression and Economic, Social and Cultural rights were the two main laws that currently affect human right defenders in Malaysia. Sevan also made a guest appearance on the ABC Radio National Breakfast Show on Thursday 15 June 2017. The talk discussed the concern of enforced disappearances in Malaysia, shedding light on the recent abductions of four people. 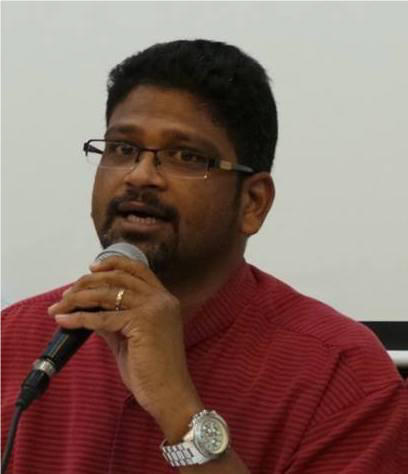 Sevan predicted that an increasing number of groups in Malaysia are openly expressing religious intolerance. He indicated the importance of government authorities and the police to take responsibility for the recent abductions. A special capacity building program focused on the rights of Indonesia’s migrant workers was launched in Jakarta on June 28th, with 27 participants drawn from across Indonesia. The program aims to support advocates working for the millions of Indonesians working in countries such as Malaysia, Hong Kong, Singapore and across the Middle-East. This program will include 5 x 4-day modules over the next 12 months. Over 50% of the participants in the first module were women, many of them returned migrant domestic workers themselves – now engaged in advocacy on behalf of others. The program was organised by the Diplomacy Training Program in partnership with Migrant Forum Asia (MFA) and Serikat Buruh Migran Indonesia (SBMI). 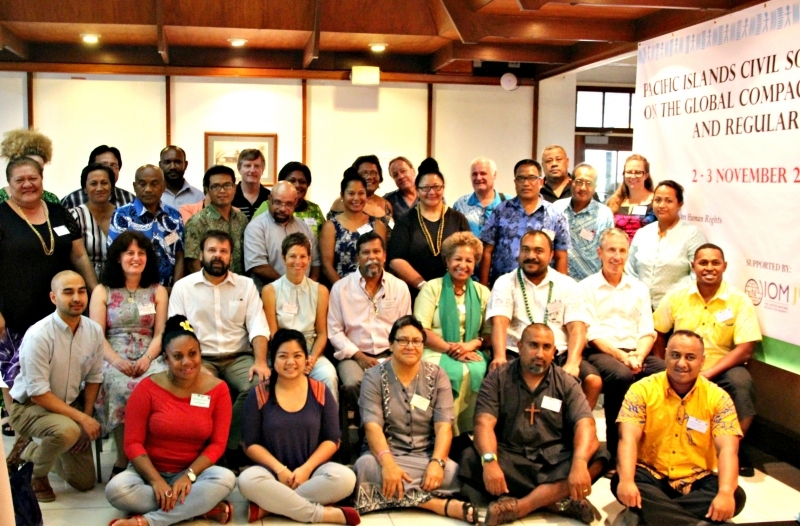 This regional program brought together participants, representing civil society organisations, from eight Pacific Island countries. The program helped build knowledge of international human rights standards and mechanisms that can be applied and integrated into effective advocacy strategies and address the challenges of unchecked economic encroachment. 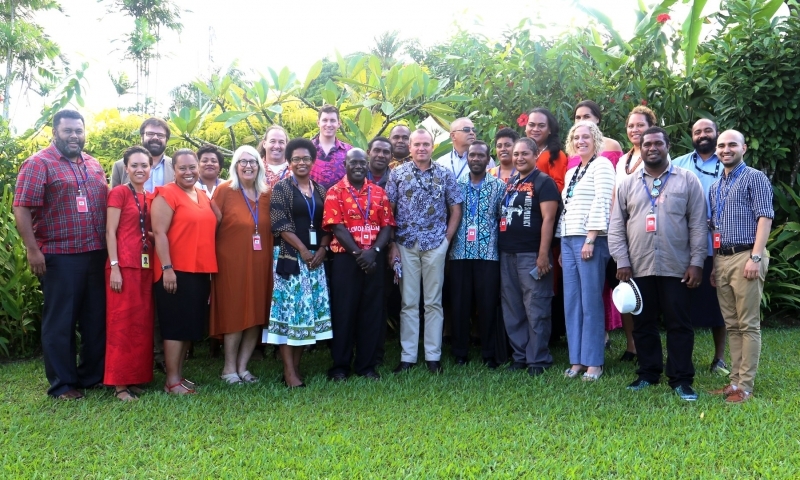 The program was organised by Diplomacy Training Program (DTP) in partnership with the Pacific Islands Association of NGOs (PIANGO), Citizens Constitutional Forum (CCF), the UN’s Office of the High Commissioner for Human Rights (OHCHR), Business & Human Rights Resource Centre, and the UNSW Institute for Global Development. This regional program was organised by DTP and JOAS to build the knowledge and skills of human rights defenders and Indigenous Peoples’ advocates to promote and protect human rights in the context of rapid economic development and the impact of the private sector on the lands and livelihoods of Indigenous Peoples. There were 24 participants from 8 countries – 16 women and 8 men. There were session on relevant UN human rights standards, the UN Declaration on the Rights of Indigenous Peoples, the UN system, the SDGs and the intersection of the environment and human rights – as well as skills building sessions in strategic advocacy; video advocacy and lobbying. A highlight of the training was a field visit to Kampung Sungai Eloi on the northern tip of Sabah – and a community affected by a large scale shrimp farming project that has destroyed mangroves and local habitats and sources of livelihoods – without the local communities being able to exercise Free, Prior and Informed Consent (FPIC) over their Native Customary Land. The program was made possible with funding from Australia’s Department of Foreign Affairs and Trade. The program was organized by the Diplomacy Training Program (DTP) and Migrant Forum in Asia (MFA) in partnership with the local host, INSAN and the Cross-Regional Center for Refugees and Migrants (CCRM). The program involved almost 30 participants including domestic workers, civil society representatives, trade unions, and journalists from 16 countries including Bahrain, Egypt, Jordan, Kuwait, Lebanon, Morocco, Turkey, Nepal, Ethiopia, the Philippines, and India. • the Global Compact process and its relevant thematic issues such as migrants – refugees and regular-irregular migrant workers among others. Presenters/speakers included: Dr Ryszard Cholewinski (ILO), Abeer Al-Khraisha (OHCHR), Sophia Kagan (ILO), Marie-Jose Tayah -( IWDF), Professor Ray Jureidini and Australia’s Ambassador to Lebanon, Glenn Miles and Reem Khalifa. 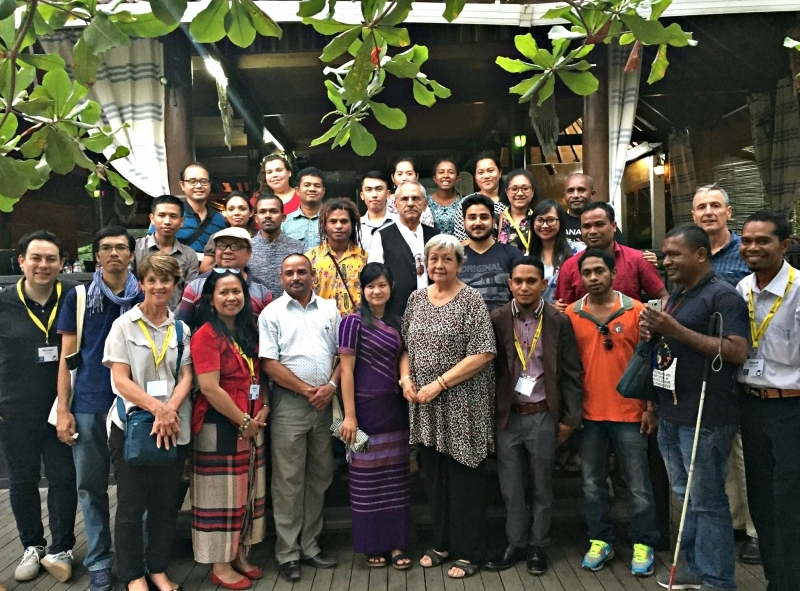 This program was a collaboration between DTP and Migrant Forum Asia (MFA) to enhance the capacity for effective and strategic collaboration on the advocacy for the rights of migrant workers’ rights in countries of origin and destination. The program was hosted by the National Network for Safe Migration (NNSM) and participants of the program included alumni of previous DTP national and regional training programs. Since 2004, DTP and MFA have worked together to provide programs that are a unique contribution to efforts to promote and protect the rights of migrant workers in Asia and the Middle East. Following 14 years of regional and national training programs in countries of origin and destination, a reflection and review program was organized to explore ways in which collaboration can be built along migration corridors to enable effective action on cases and policy/law reform in countries of origin and destination. The program, funded by the ILO, brought together participants from countries of destination in the Middle-East and countries of origin in South Asia and enabled the sharing of good practices and lessons learned, looking at how better communication and coordination between groups and networks could enable more effective case work, facilitate access to justice and collaborative work on policy reform. DTP also helped to facilitate a one day program with advocates from the Middle East and coordinators of migrant resource centres from across Nepal in the SaMI network. The exchange was a rare opportunity to learn from each other about the challenges and realities each face in working to protect the rights of migrant workers in very different environments. The Diplomacy Training Program (DTP) held its 27th Annual Human Rights and People’s Diplomacy Training Program for Human Rights Defenders from Oct 2-13, 2017. The program was held in partnership with Judicial System Monitoring Programme. The program had 24 participants from over 9 countries that participated in this training. We were warmly welcomed by DTP’s Patron and Founder, the Nobel Peace Laureate and former President, José Ramos-Horta & Australian Ambassador to Timor-Leste H.E Peter Doyle. The program helped build practical links between advocates in the region facing shared challenges. These challenges include violence against women, land-grabbing and forced displacements, freedom of religion and freedom of association, the rights of migrant workers and of Indigenous peoples, transitional justice, protecting human rights in repressive and authoritarian environments and integrating human rights into sustainable development policy and practice. The participants were fortunate to learn from experienced trainers from the UN and WITNESS, and had the opportunity to do a lobbying and campaigning exercises with Australian Embassy staff based in Timor-Leste. The participants also delve into the history and lessons of Timor-Leste as they spoke to the victims’ families of the Liquicia massacre and field visits to Centro Nacional Chega and Resistance Museum. 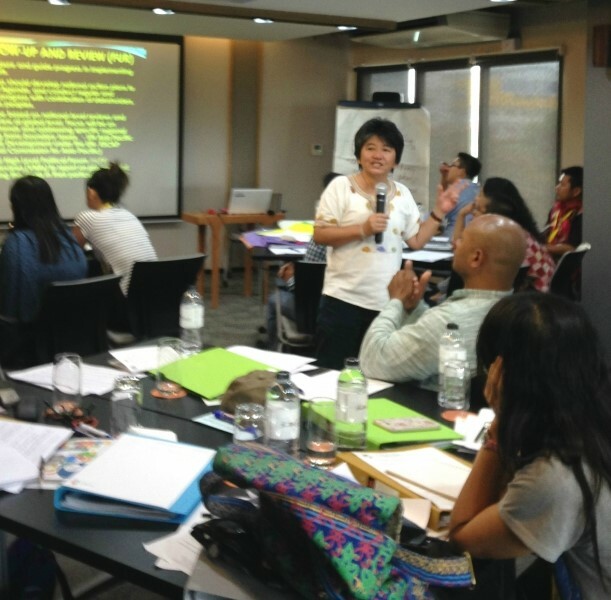 DTP held the fifth and final module of its 15 month long capacity building program on the rights of migrant worker rights in Malaysia. It continued its focus on engaging with the UN human rights system with a focus on the Universal Periodic Review and on human rights standards with sessions on UN Convention on the Rights of the Child and on Trafficking and the US Trafficking in Persons reporting process. The issues facing stateless children of migrant workers was highlighted – with the consequent denial of rights to identity, the right to education and the right to health. 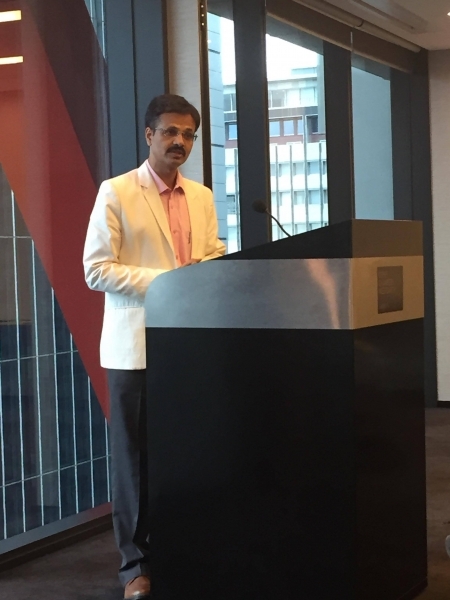 A highlight of the program was sessions with Arul Prakkash of WITNESS who led very practical sessions on communicating messages through social media – which had immediate impact with hits and shares and compensation being offered to Nepalese migrant workers. The participants in this program have formed a very active and collaborative network – sharing information and advice on cases and working together on rights issues for migrant workers in Malaysia. DTP thanks its partners and the participants of the program and will produce a full report. The Diplomacy Training Program (DTP) in partnership with Migrant Forum in Asia (MFA), Bar Council Migrants, Refugees and Immigration Affairs Committee (MRIAC), North South Initiative (NSI), and Migration Working Group (MWG) are holding a special capacity building program for Malaysian civil society on the rights of migrant workers. The program will be designed with program participants to build knowledge, skills and networks to enhance and support civil society advocacy for the promotion and protection of migrant workers’ rights in Malaysia. The program will bring together Malaysian advocates with advocates from countries of origin, including Nepal, Bangladesh, Philippines, Indonesia and Cambodia to build links and networks and to develop shared advocacy strategies for greater impact in Malaysia and countries of origin. 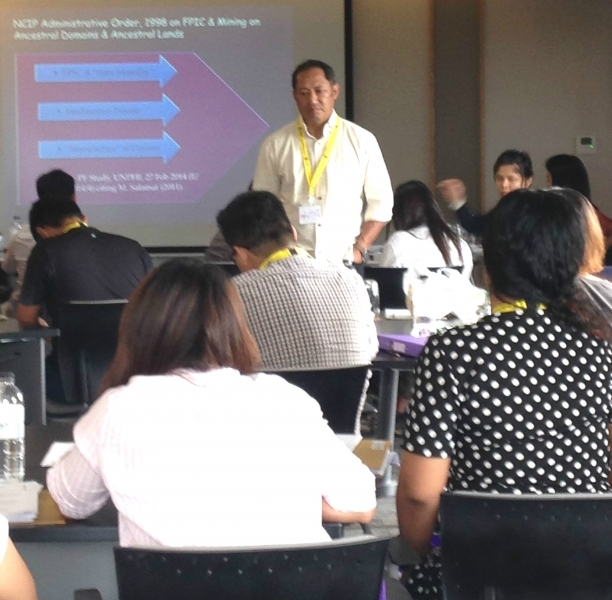 DTP has just completed the 3rd module of its capacity building program in Malaysia on the rights of migrant workers. The module focused on the private sector and human rights - and the challenges of ending abuses in the recruitment, manufacturing, construction and forestry/palm oil sectors – as well as abuses experienced by migrant domestic workers, mostly women. Sessions were led by Professor Surya Deva, Chair of the UN Working Group on Business and Human Rights, DTP alumnus and SUHAKAM Commissioner, Jerald Joseph and Marie Apostol, of FairHire Initiative as well as representatives from business and from the RSPO. Working together with participants, there was a great sense that change is possible. 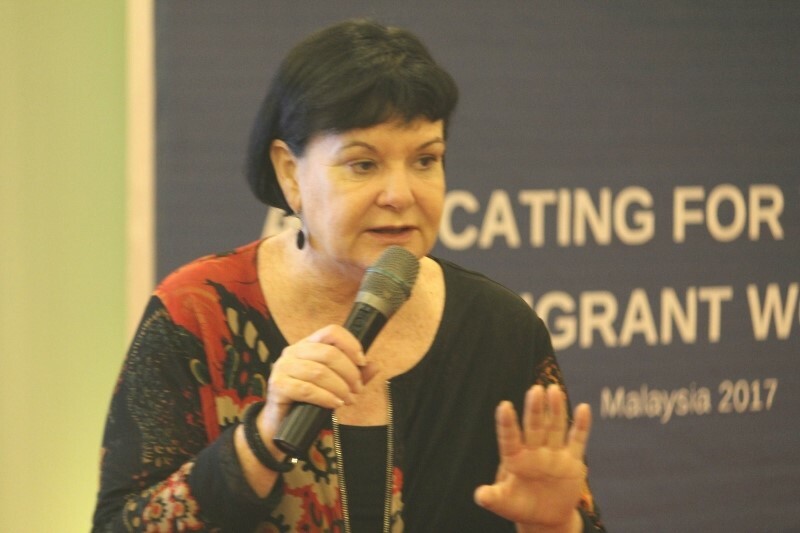 Sharan Burrow (pictured above), ITUC General Secretary spoke with participants in the DTP/MFA course on the rights of migrant workers in Malaysia (Module 1) - organised with Malaysia Bar Council, North-South Institute and Migration Working Group. For more information, click on this link. To mark the 10th Anniversary of the United Nations Declaration on the Rights of Indigenous Peoples [UNDRIP], DTP and the Asia Indigenous Peoples Pact (AIPP) delivered a capacity building program on the United Nations Declaration on the Rights of Indigenous Peoples and the 2030 Agenda for Sustainable Development in Thailand. …. to end poverty and hunger everywhere; to combat inequalities within and among countries; to build peaceful, just and inclusive societies; to protect human rights and promote gender equality and the empowerment of women and girls; and to ensure the lasting protection of the planet and its natural resources. This special program celebrates the 10th Anniversary of the UN Declaration on the Rights of Indigenous Peoples and helped build the capacity of Indigenous peoples’ organisations and their representatives to use UNDRIP as they engage with governments and the private sector in SDGs planning and programming. Joan Carling (pictured above), co-convenor of the Global Indigenous Peoples Major Group on the Sustainable Development Goals (SDGs), teaching on the DTP program 'The United Nations Declaration on the Rights of Indigenous peoples and the 2030 Agenda for Sustainable Development' held in partnership with AIPP in Chiang Mai.